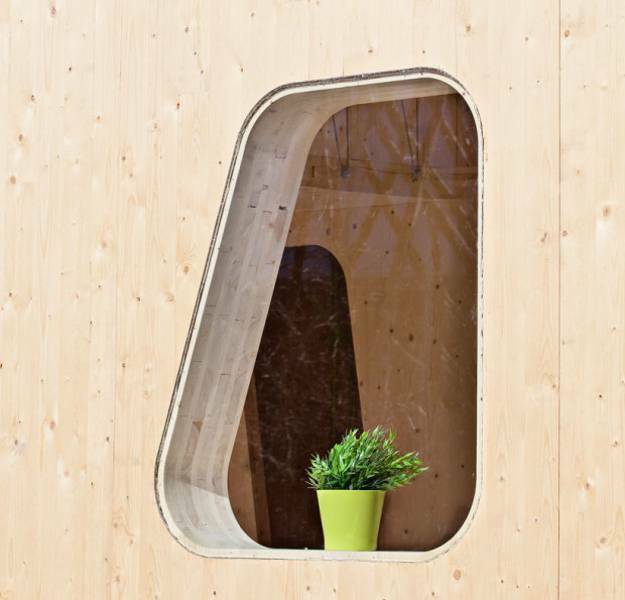 Smarta is a student housing unit, designed and built to present a new concept of small apartments and homes for rent at the Virserums Konsthall Exhibition WOOD 2013. 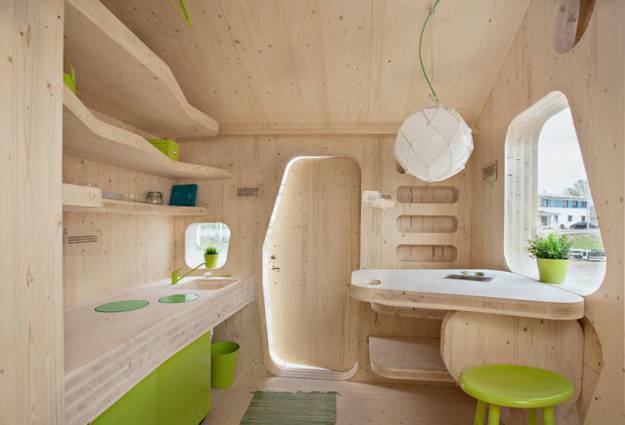 The small homes future bright and warm wooden interiors which enhance functional small spaces and provide a contemporary home for a student living on a small budget. 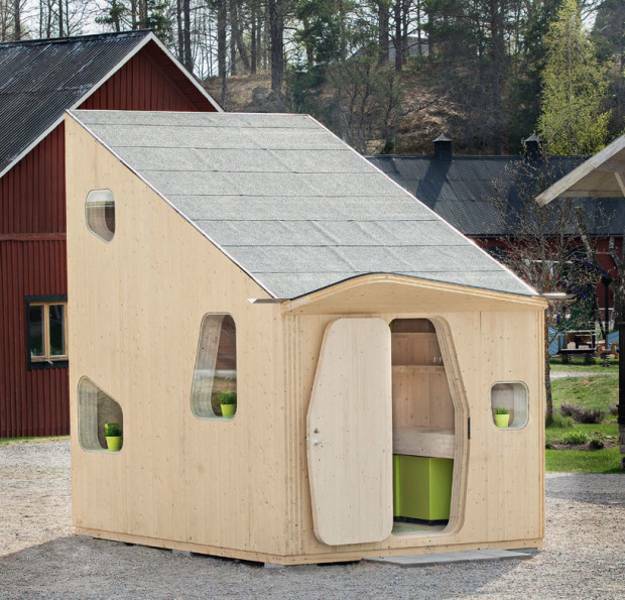 Designed and built by Tengbom architects, www.tengbom.se in collaboration with AFB and wood processing company Martinson, the Smarta is a square-shaped wooden cabin for rent, that is eco friendly, functional and comfortable for a single student. The small house design is created aiming to minimize the climate impact and providing warm and multifunctional, bright and contemporary living spaces for students. 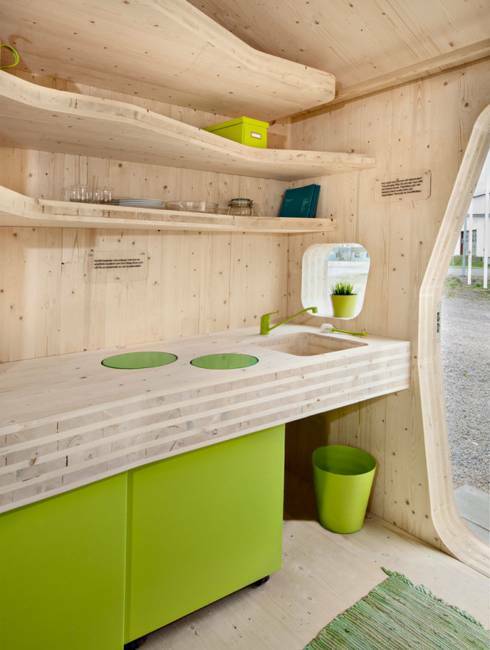 This space saving small house design is a new reflection of the green building technology. The Smarta house designs offer simple, unpretencious, warm and functional small spaces that students can afford to live in. By simplifying the living spaces and interior design, using eco friendly materials and building with local wood, the architects managed to create a small house that is friendly to both, the small student budget and environment. 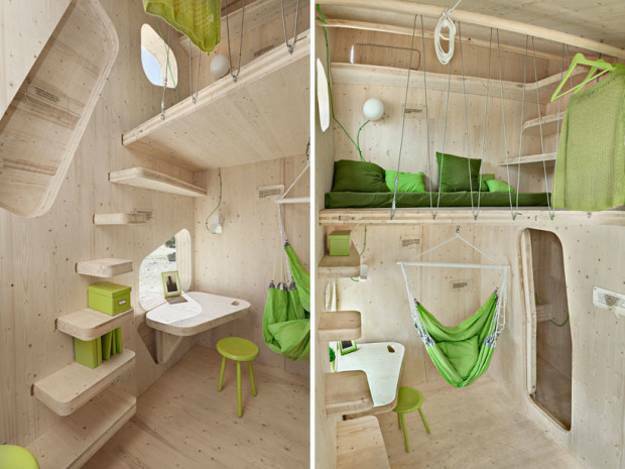 A first prototype of student housing was developed in collaboration with students in 2012. Now it is built for presenting at Virserums Konsthall. There will be 22 student homes ready for occupancy in Lund next year. 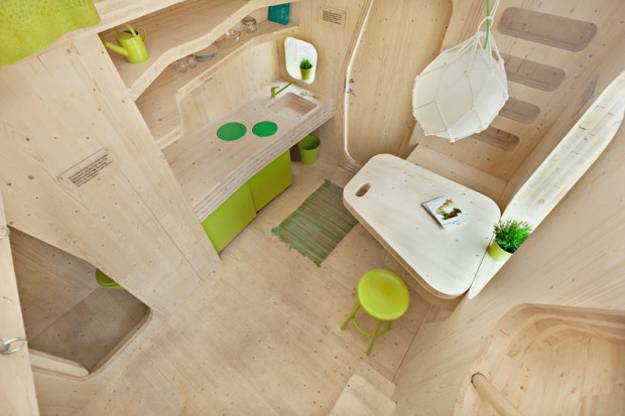 The small house offers just 10 sq meters of living spaces, but despite its small size, the dwelling is equipped with everything a student needs, – the sleeping loft, kitchen, bathroom and small patio outside. 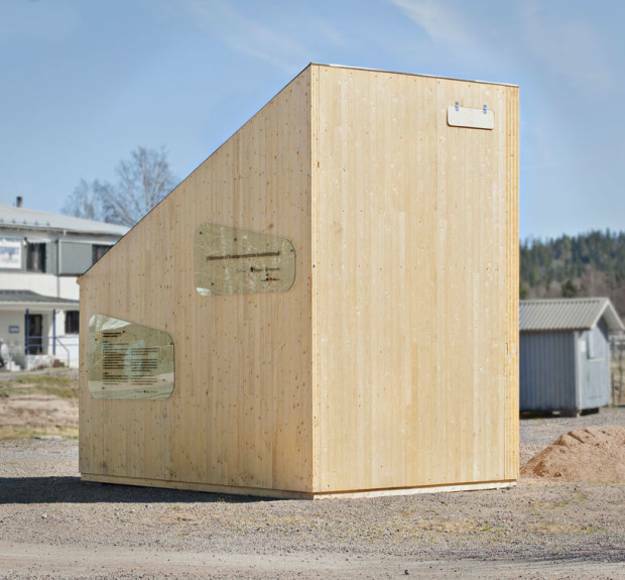 The Swedes have worked with students from the University of Lund, creating this unusual unit. Standard requirements of twenty-five sq meters have been reduced by sixty percent, to 10 sq meters. By working with a real estate AF Bostäder and Martinsons, builders have created the Smart House for a student. The small house is a blend of sustainable design and space saving solutions. The innovative, comfortable and eco friendly housing unit design gives a great inspiration to have the courage to break new ground, said one of the authors, Linda Camara .